Google Docs is free office software offered by Google, alongside Google Sheets and Google Slides. It is available as a web application that you can use within your internet browser. There is also a mobile app for iOS and Android. You can download and use it on your smartphone or tablet. The best part of using Google Docs is that you don’t have to spend money to use it. Besides, this free application allows multiple users to collaborate on the same document in real-time. Also, it is compatible with Microsoft Word file formats. Therefore, you can easily use your Google Docs documents on Microsoft Word and vice versa. However, if you are looking for advanced features like on Microsoft Word, you may feel disappointed. It doesn’t have a lot of handy features like Microsoft Word. There are just a few simple functions for creating, editing and formatting documents. In fact, Google Docs has received praise for its simplicity, the ability to collaborate with multiple users, and frequent updates. Although Google Docs doesn’t have many advanced features, it does have quite some useful tricks. You may never know these features unless you read them somewhere. In this post, I’m going to share with you some useful Google Docs tips and tricks that you should be aware of. 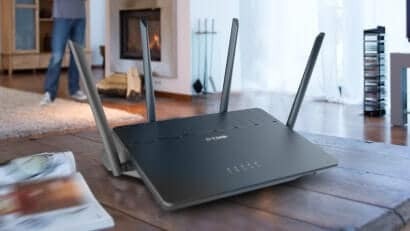 Do you know that you can still work with your Google Docs documents even if you don’t have an Internet connection? Well! You can create new documents, as well as view and modify existing documents without having an Internet connection. Those changes will be stored on your computer. Then when you access the Internet again, those changes will be synchronized online with your Google account. 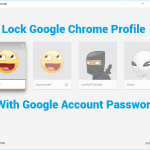 To use this feature, you need to use the Google Chrome browser. 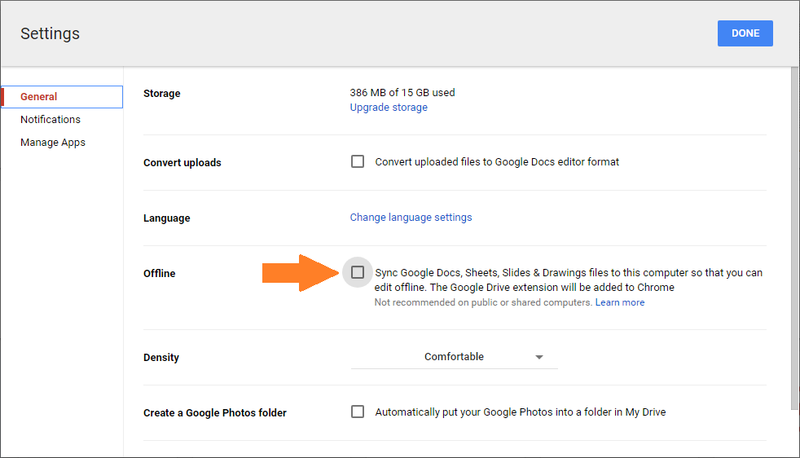 To enable this feature, go to Google Drive and access the Settings section. In the General tab, tick on the “Sync your work to this computer so that you can edit offline” checkbox to enable offline mode. You will need to install a Google Chrome extension called Google Docs Offine to your Chrome browser. Subsequently, click on the “Done” button to save the change. 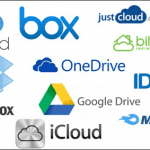 To access your documents while offline, go to Google Drive. This website still works even when you aren’t connecting to the Internet. 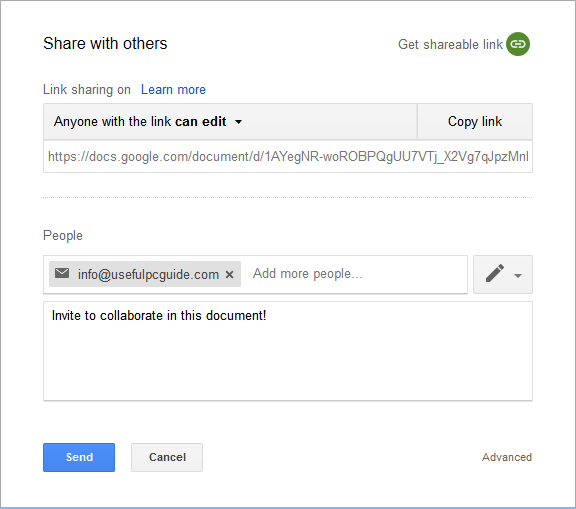 With Google Docs, you can grant access to other users to collaborate with you on the same document. All users can work together in real time. That said, you can see what others are doing or typing. Or you can get a public link and send it to the person you want to collaborate with. You can set permissions for this link as well, like above. Instead of using your keyboard to type words, you can use the speech to text system to write the document. It is a built-in feature in Google Docs, and it works quite well. Even better, this speech to text tool can also understand some specific commands like “newline” or “period”. When you say those words, it will create a new line or insert a period on the document, respectively. However, this feature does not work on Safari browser as it does not support WebRTC. But you can use this feature on all other main web browsers, such as Mozilla Firefox, Google Chrome or Microsoft Edge. To enable this feature, navigate to Tools -> Voice Typing. If you want to know how many words you have entered, press Ctrl + Shift + C to count words in Google Docs. I always love to use keyboard shortcuts whenever I can. 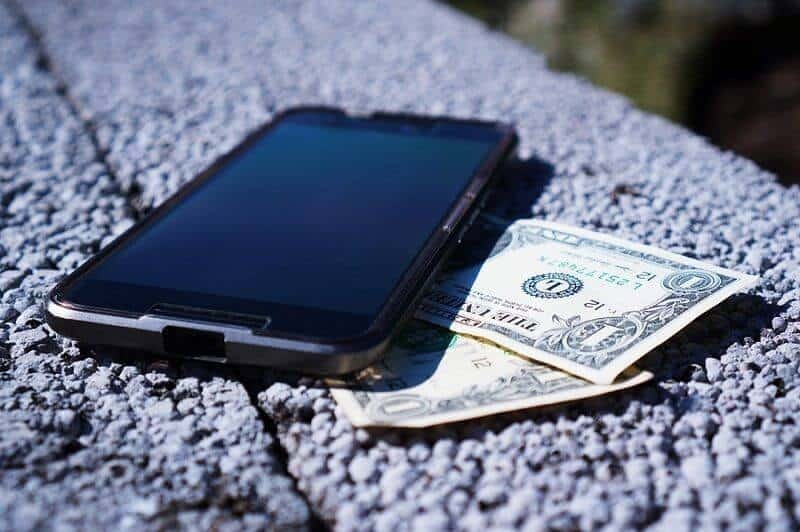 It does not only make tasks easier but also helps to save a lot of valuable time. For example, press Ctrl + C and Ctrl + V to copy and paste text which is faster than using right-clicking. There are many keyboard shortcuts that you may not know about. 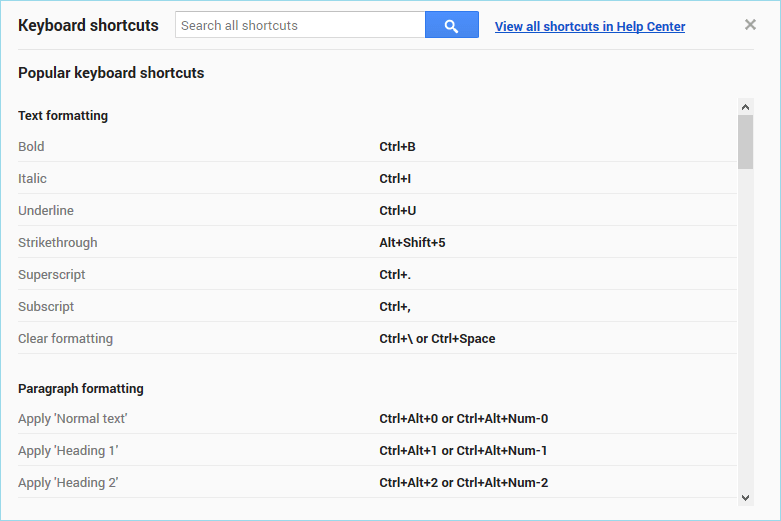 To expand your knowledge, press Ctrl + / to display all the keyboard shortcuts that you can use in Google Drive. 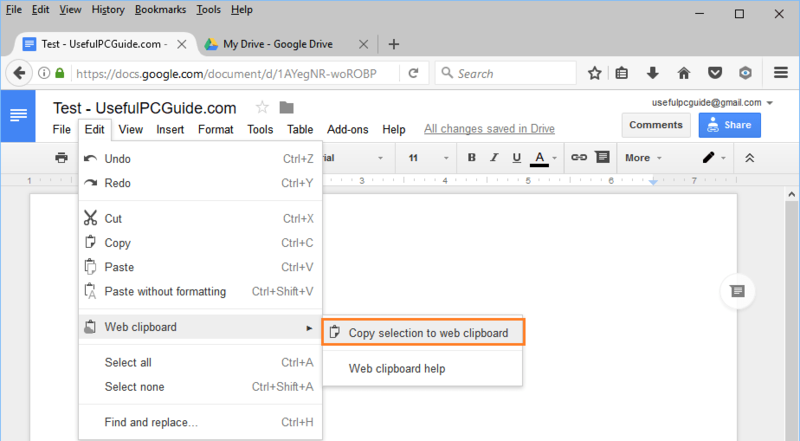 The web clipboard feature will help to share things you have copied across other apps, including Google Sheets and Google Slides. It means you can copy particular text from Google Docs and paste it in Google Sheets, and vice versa. This feature is associated with your Google.com account. That said, you can use it across all PCs – just need to log into your Google account. It can hold various items, including text, images, sketches, as well as some other bits of data. To use this web clipboard feature, you just need to select the object you want to copy. Then, go to Edit -> Web clipboard -> Copy selection to web clipboard. 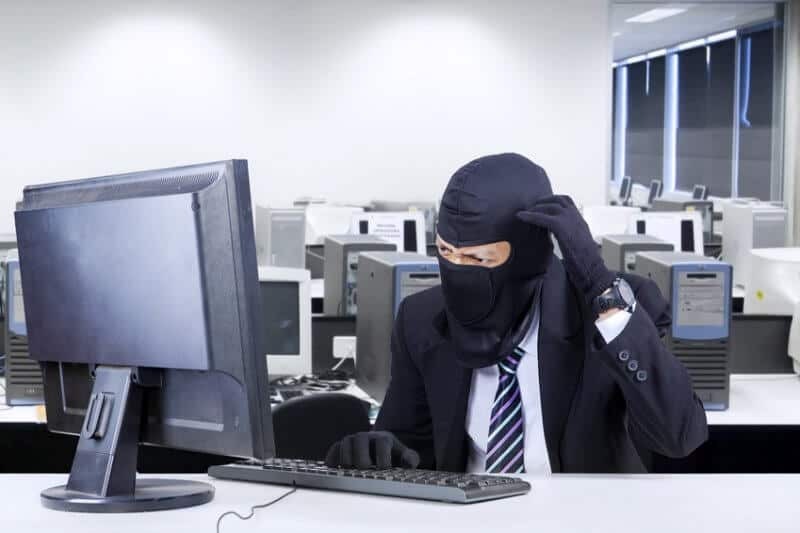 If you don’t use things you have copied to web clipboard within 30 days, all will be cleared. If you want to insert a special symbol to your document, you need to navigate to Insert -> Special characters. You’ll find a lot of symbols there that you can choose and insert into the document. Besides, you can create a customized code for those special characters. For example, when you type (c), it will automatically turn into ©, or (r) to ® and so on. To add a new customized code or adjust existing codes, go to Tools -> Preferences. I hope these Google Docs tips and tricks will help you learn more about this web-based document editor. If you have any questions or want to share more handy tricks, don’t hesitate to leave your comment below.